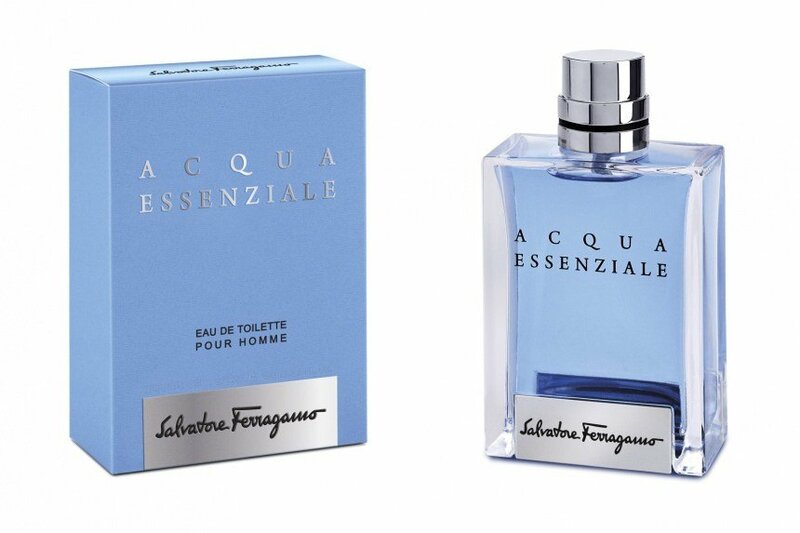 Acqua Essenziale (Eau de Toilette) is a perfume by Salvatore Ferragamo for men and was released in 2013. The scent is fresh-aquatic. It is still in production. The perfume has been awarded the prize of best 'Made in Italy' perfume by the Accademia del Profumo. wonderful. i love it and i am glad to have it .after seven hours i can feel it in my skin .silage and longevity are very good . This is a very good fragrance that I would put up against any other designer aquatic on the market! Acqua Essenziale opens with an aromatic top of mint, lemon leaf, rosemary, and lavender. It's an accord that smells sweet, fresh, and clean in a modern, "I just got out of the shower and used some sporty body wash" kind of way. There's an oceanic aspect to it as well, but it comes across as more of an abstract ideal of the mind than any real, natural smell you may find near the sea. Seabreezes are typically not as sweet or clean as that which is presented here...no problem for me. It's well composed, and while you can pick up on a slight synthetic quality up close, for the most part Essenziale is smooth and watery without that annoying scratchiness that seems to be a trademark of cheaper aquatics. It produces a very pleasant sillage that although familiar to some degree, is done the right way. To elaborate, I'm most impressed by the texture of Essenziale--the light, airy, watery quality that aptly matches its scent, while diffusing gently around its subject. Acqua di Gio possesses this quality as well--where the smell and texture sit perfectly together, and take the fragrance to a higher level beyond the norm. There have been a lot of comparisons made between Bleu de Chanel and Acqua Essenziale, and I agree that they smell quite similar. However, I think Essenziale is perhaps the superior fragrance due in part to this often taken for granted element of texture. What I mean is that it seems to possess the appropriate consistency for its smell, whereas Bleu can seem at times too heavy or chunky for its own good. Therefore, the performance of Acqua Essenziale is quite effective. It works well in warmer temperatures without every becoming cloying or irritating, and doesn't fall apart as some fragrances can in the heat. Essenziale is linear for the most part, its dry down a nondescript fade into a typical white, musky-woody base. I'm okay with this because for about 4 or 5 hours I get the very pleasant, excellently composed sillage described above, and I have no desire for it to change. Projection is just right. Longevity could be better, but it's adequate. I would give Essenziale a solid 80--85 out of 100. If you're tired of the whole aquatic genre, that's understandable. However, if you're looking for a designer aquatic you can pick up at the mall or online for a decent price, this is a very good option to consider. And if you're a fan of this style of fragrance, this one's definitely worth adding to your wardrobe.